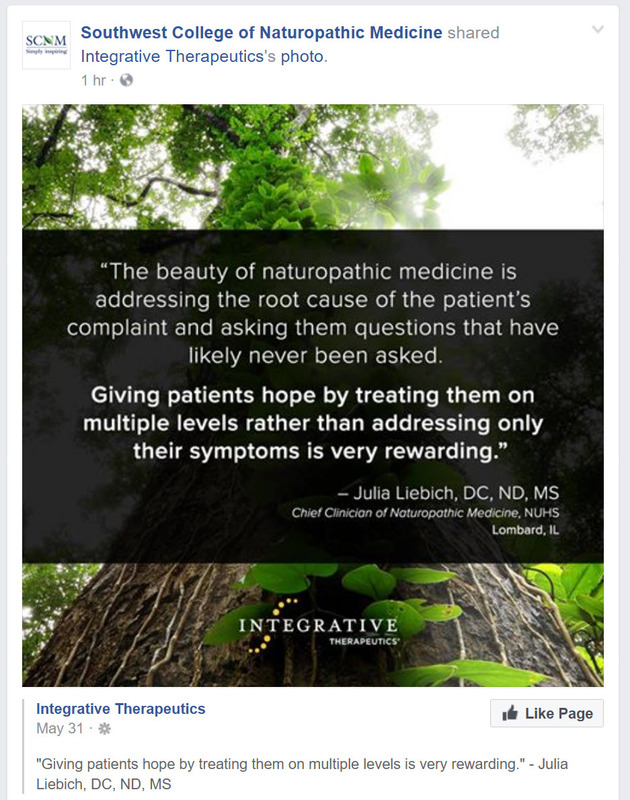 "Southwest College of Naturopathic Medicine [...] 'the beauty of naturopathic medicine is addressing the root cause of the patient's complaint and asking them questions that have likely never been asked. Giving patients hope by treating them on multiple levels rather than addressing only their symptoms is very rewarding' [...ND] Liebach." so, this is the dog-whistle criticism of regular, modern, scientific medicine. 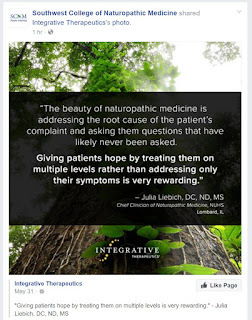 Naturopathy claims to get at what regular medicine can't, and that regular medicine only symptomatically treats, while naturopathy has a more complete WISDOM. This is a claim of incompetence. But, of course, even by way of SCNM, we have a science claim upon the science-ejected. So, that's the ROOT of naturopathy's problem: science incompetence. Straighten out your house first naturopathy, before you go throwing stones.